ChildChild age: 3-11 years. Under 3 free. 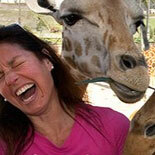 Our San Diego Zoo Safari Park "Direct to Gate" tickets allow immediate admission. Photo ID will be required at the gate. With more than 6.8 billion people on the planet competing for resources (shelter, space, food, and water), trying to save endangered species can be a challenging prospect. The San Diego Zoo and Safari Park are making a powerful, positive difference for the plants and animals that share our planet. 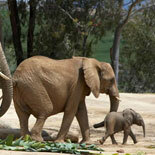 Help them by visiting the San Diego Zoo Safari Park and learning what you can do to help. Entrance to all Shows and Exhibits! The San Diego Zoo Safari Park is home to more than 3,500 rare and exotic animals - most of whom roam freely in vast enclosures. Unlike any other zoo, this amazing safari adventure park is home to hundreds of animals roaming together like on the vast open plains of Africa and Asia. Tiger Keeper Talk - 1 Daily at 11:45 a.m. Learn about the Sumatran tiger from keepers. Located at the Sambutan Longhouse in Tiger Trail. Gives you a glimpse of the amazing diversity that is Africa. Your knowledgeable guide will fill you in on the animals in the large field exhibits. All your favorites are here: curious giraffes, massive rhinos, graceful gazelles, and impressively horned antelope. During the Africa Tram Safari, you'll see goliath herons, ostriches, and other birds mixing and mingling with the animals. A large waterhole provides breeding sites for both animal and bird species. Then you will cross a bridge and round a bend, and see some of the most beautiful views in the Park. 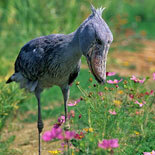 You'll also roll through North Africa, where the Sahara desert is home to animals with amazing adaptations. From there, you'll return through East Africa for a better look at the impalas, gazelles, Uganda giraffes, and southern white rhinos. Upon your return to the station, don't think your connection to Africa is over...there's more of Africa to explore throughout the Park! Walk through palm trees offering a gentle mist to three slippery critters that spout water: a turtle, a lion, and a crocodilian. Located next to Lion Camp, the Savanna Cool Zone is a wild way to cool off! Watch with delight as birds of various species show off their flying talents-with many soaring right over the audience. The feathered fun happens in the Bird Show amphitheater between Gorilla Forest and African Woods. 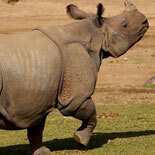 Witness the fastest land mammal up close doing what it does best:run! The spotted sprinter races on a straight 330-foot-long track that allows the cheetah to stretch its legs and reach an astounding speed: 0-70 miles per hour in just 4 seconds while chasing a mechanical lure attached to it's favorite toy. If you're close enough, you may feel the wind as the cheetah passes by. 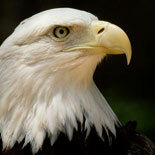 Weekdays: 12, 1, and 2 p.m.
Wow, with so many animals to see and meet, what are you waiting for? Don't spend time waiting in line! Buy and print tickets online and head straight to the gate! 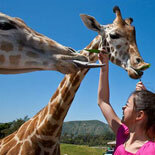 Plan your trip, get your eTickets and go on safari with the San Diego Zoo Safari Park one day pass! Hours of Operation - Open every day of the year, including all holidays. W. Zoo Rd. and San Pasqual Valley Rd. Parking is $7 per vehicle for members, $10 for nonmembers; $12 per RV for members, $15 for nonmembers. Child Ticket: 3-11 yrs. of age. Children under 3 yrs are free. Free admission for active Military with ID. Reservations are not required. Park hours, attractions, and animal exhibits are subject to change or closure without notice. Weather may affect some activities and exhibits. No smoking on grounds at the Safari Park. Rentals: Strollers, lockers, and motorized wheelchairs are available for rent on a first-come, first-served basis near the entrance. Prices: strollers, $10; double strollers, $15; wheelchairs, $10; electric scooters $35 (membership number or state identification card number is required). 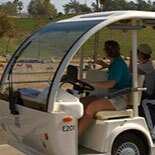 The San Diego Zoo Safari Park welcomes guests with disabilities. A special information packet is available at all ticket windows. We have written scripts for tours and shows for the hearing impaired, and we provide free admission to the assistant of the visually impaired. Automated Teller Machines (ATMs): For your convenience, ATMs are located at the front entrance (just before the entrance turnstiles), in the Administation Building, outside Mombasa Island Market, and in the Heart of Africa near Okavango Outpost.